Built to handle low or very high pressure, the heaters are ideal for MRO facilities to test pneumatic valves. 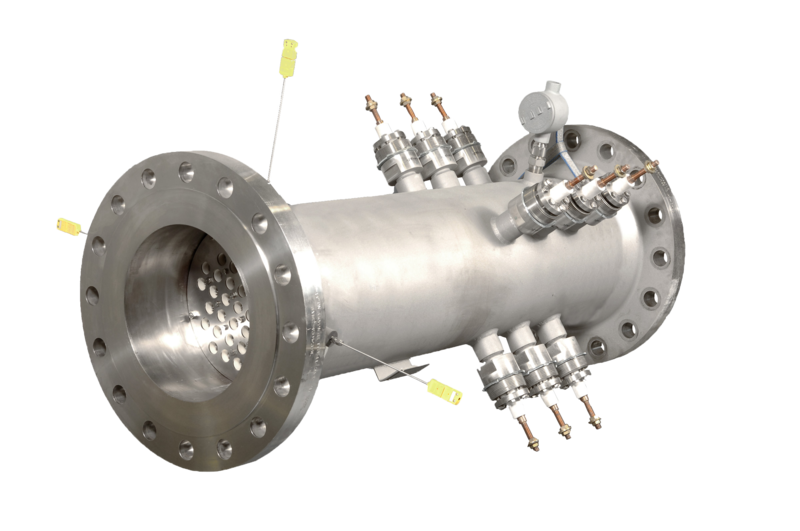 Our specialty inline flanged heaters are built to handle low flow and very high pressure. They provide custom solutions that are versatile and widely scalable to meet the critical needs found in MRO facilities. Complete a project form and our applications engineers will define the air heater features and get you quote. Power ratings in single heaters 12kW to 768kW Standard, 1 MW and higher in custom design. Pressure Ratings up to 600 PSI (40 Bar) >1100 PSI (75 Bar) in custom design. On-site start-up assistance and training available. ​All other trademarks are those of their respective owners.